Ferb's in 爱情 with Gretchen!<3. 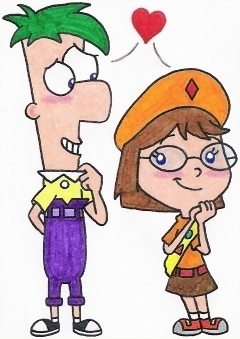 since Phineas has Isabella, Ferb should have a girlfriend too (and pairing him with Vanessa Doofenshmirtz wouldn't work in the long term since she's about seven years older, and she already has a boyfriend). Wallpaper and background images in the 飞哥与小佛 club tagged: phineas and ferb.